In a New York minute, everything can change. This now-famous phrase rose from the ashes of Sept. 11, 2001, to ensure the significance of that day is never lost to history. We all have our own ways of remembering. While, at the time, my first cousin worked in the World Trade Center’s shadow and my brother worked on Capitol Hill, both fled their offices to safety, leaving me among the fortunate who doesn’t know anyone who was lost in the attacks. Which allows me to view the tragedy more in the abstract, with the hope of deriving actionable, real-world awareness. This morning, as I have on many of the previous 15 anniversaries, I re-read this USA Today article from 2002 about what the world was like on Sept. 10, 2001 — the day before everything changed forever. In many ways, things weren’t all that different from how they are today. But what’s most striking about the piece are the stories of how some of the people who would perish in the attacks spent their last full day on Earth. I can never help getting goosebumps while going through them. Some are, not surprisingly, heartbreaking, like the woman whose dinner plans with her mother got canceled at the last minute; or the man who happily set his wedding date for the following September. Some are eerie, in good ways and bad, like the son who, for some unknown reason, made his weekly call to his parents on Monday, instead of Wednesday like he typically did; or the seemingly lucky guy in the upper reaches of the North Tower who survived a round of company layoffs. And some are touching, like the father who had to stay home with his two daughters because his wife had a meeting; or the man who stayed up late folding laundry, a surprise his wife wouldn’t find until the following morning, as he was on his way to the World Trade Center. With the benefit of hindsight, though, all these stories are haunting, because we know what’s coming next. But if we spin this perspective forward and apply it to our own lives, we might realize that’s exactly what we’re doing. Trapped in the tunnel vision of our day-to-day, it can be difficult to be grateful for and not overreact to the small things. There are just too many places to go and people to see and money to make. There’s too much to do, and too little time to do it. Lord knows I’m guilty of this. In recent months, I’ve rambled about the ridiculous, from the travails of going shopping to the inconsiderates who don’t know how to park, refuse to extend a thank-you wave and can’t wait their turn while deplaning an aircraft. What a waste, especially when you consider these diversions are distracting me from more important focuses — and could prevent me from appreciating those precious moments you don’t know are significant until it’s too late. It’s a shame anyone would allow things to get to that point, that it often takes something disastrous — an accident, a medical diagnosis, a death — to mute the madness, to strip away the trivialities and reestablish some semblance of balance in our lives. Maybe that’s just how it is, though. Maybe it’s impossible to be in tune with the good stuff without enduring the bad. 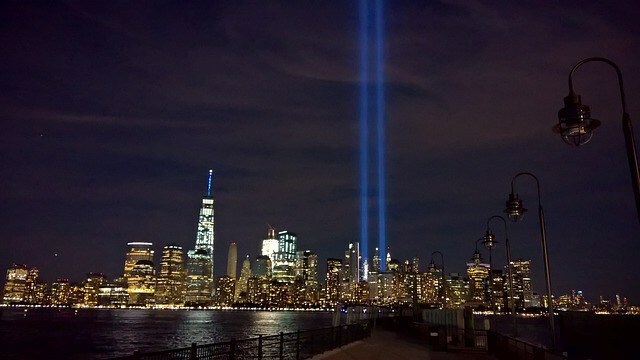 September 11th will always be remembered as a time of great tragedy; as a symbol of heroism and bravery; as an incarnation of the best and worst of the human spirit. But if we are to build on one of its lasting lessons, we’ll use it as a reference point for just how fragile our existence can be. One minute, our lives are about grocery lists and traffic and whether our favorite team won or lost. The next, they’re about…well…lord knows what they could be about. But by never forgetting that horrific day, we’ll no longer need further misfortune to remind us about what matters most. Because we’ll know that, for all we know, any day could be our own September 10th.